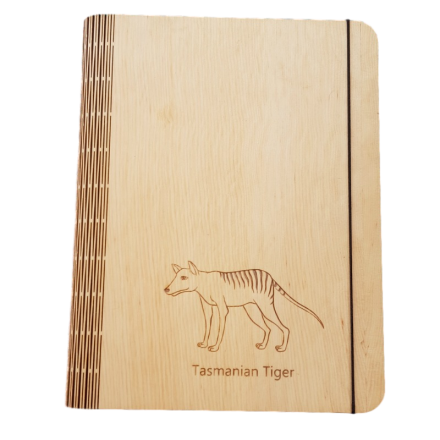 Huon Pine Tasmanian Tiger Notebook Cover|Shop for Huon Pine Tasmanian Tiger Notebook covers here with a flat rate shipping of $8.50. Made from Huon Pine veneer this notebook cover features an engraved Tasmanian Tiger. The Tasmanian Tiger is now believed to be extinct but still creates a huge amount of media interest with recent reports of sightings. 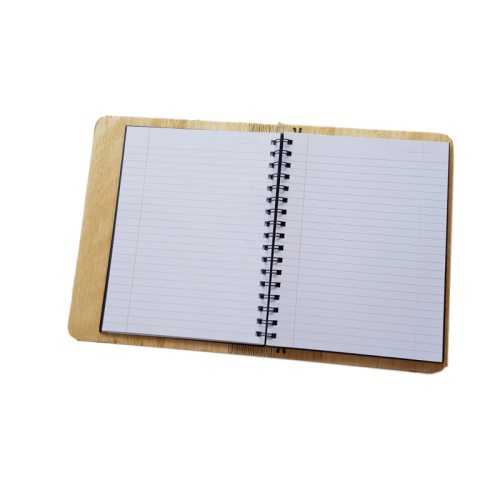 Notebook Cover includes a lined notebook which can easily be replaced.